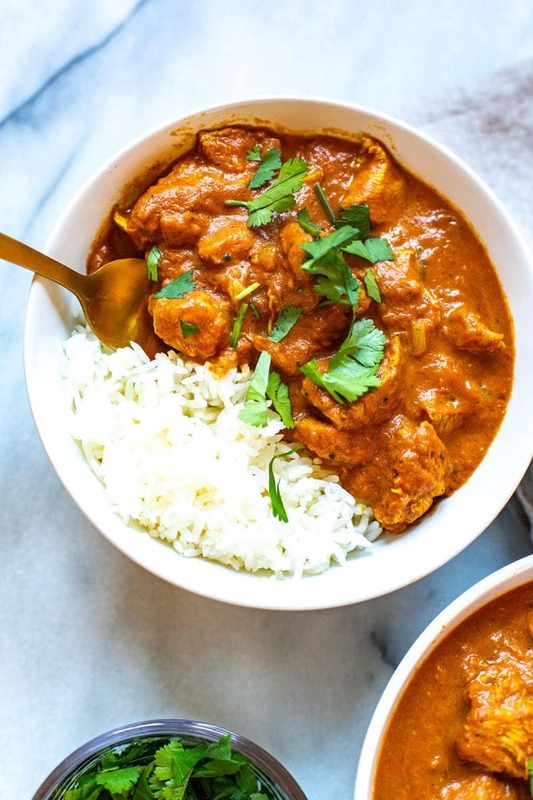 Slow Cooker Chicken Tikka Masala is a delicious, healthy way to enjoy Indian cuisine, and it cooks all day on low so you can enjoy a tasty curry after a long day without all the legwork! Are chicken tikka masala and butter chicken the same? The ingredients in chicken tikka masala and butter chicken are similar. Actually, the dishes are so similar that in some areas, the names are used interchangeably. The biggest difference between the two is in the flavor. 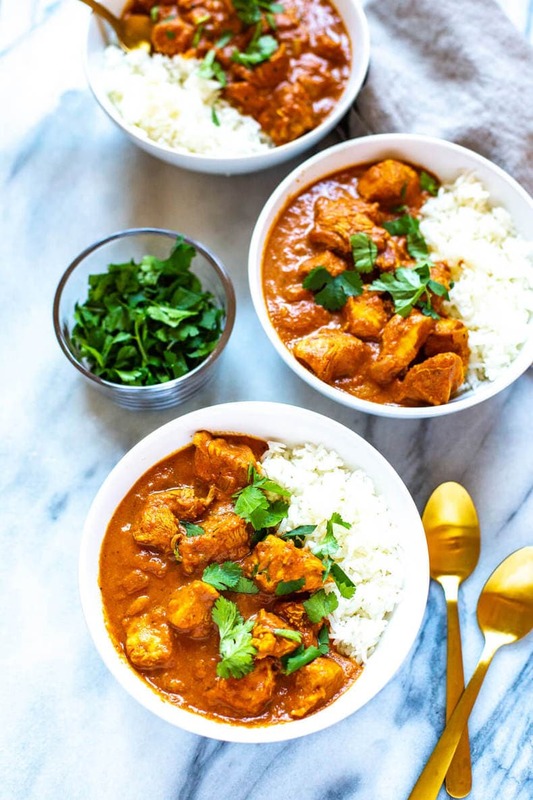 Chicken Tikka Masala is very fragrant, with a complex flavor from the masala spices, whereas the taste of butter chicken is very basic and, well, buttery. Simple dishes like this one are a great way to introduce people who have never eaten Indian food to the flavours of Indian cuisine. Because Slow Cooker Tikka Masala is so effortless to make, it's also the perfect curry recipe for beginners to make! 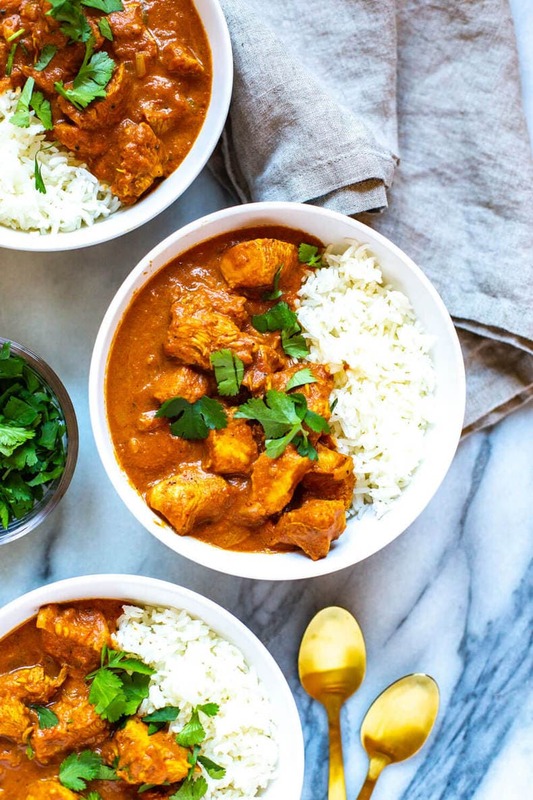 This Slow Cooker Chicken Tikka Masala recipe is the perfect make-ahead meal for busy nights, too. In the morning, put everything into the slow cooker; when you walk in the door later that day, your house will smell amazing. Get some rice cooking, then go change out of your work clothes. 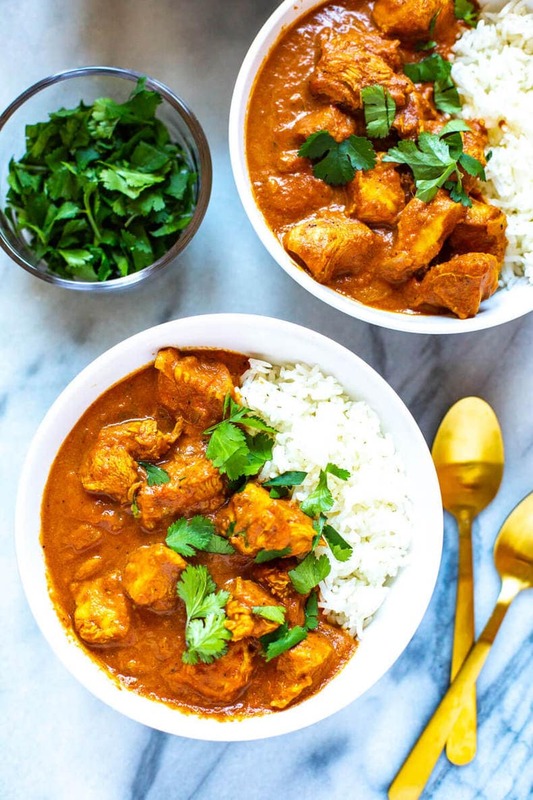 By the time you get back to the kitchen, you will only need to stir some sour cream into the slow cooker to finish off the chicken tikka masala. Serve it in bowls with some of the rice, and get ready to enjoy a warm bowl of comfort food! 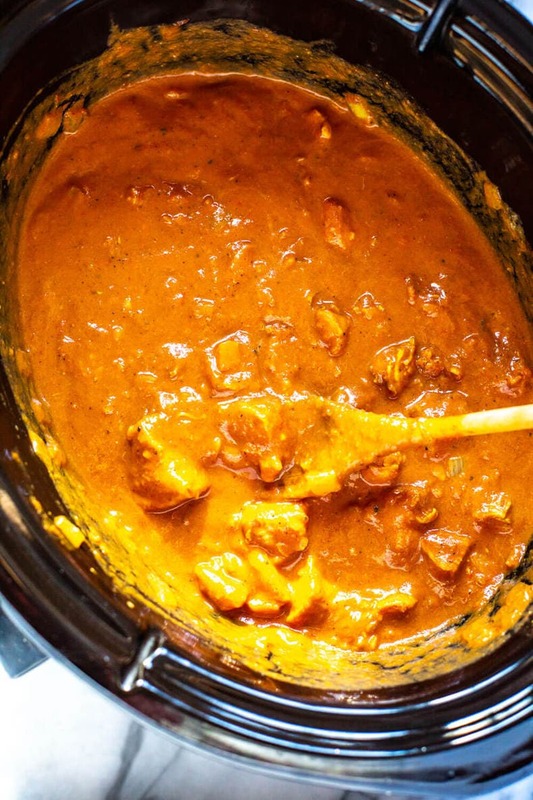 Is slow cooker chicken tikka masala healthy? Because of its delicious creamy sauce, chicken tikka masala isn't the healthiest Indian dish you can make. That being said, one of the things that I like about this recipe is how versatile and easily adaptable it is! If you want to cut the calories and fat a bit, it's easy to do; just swap the full-fat sour cream for low-fat sour cream or yogurt. Instead of white rice, you can also serve this tikka masala with brown rice or even quinoa! Some of my other favorite Indian dishes include Butternut Squash Chicken Curry and Tandoori Chicken Naan Burgers in case you're looking for some other healthier recipes that include similar flavours but you don't have time to bust out that slow cooker! 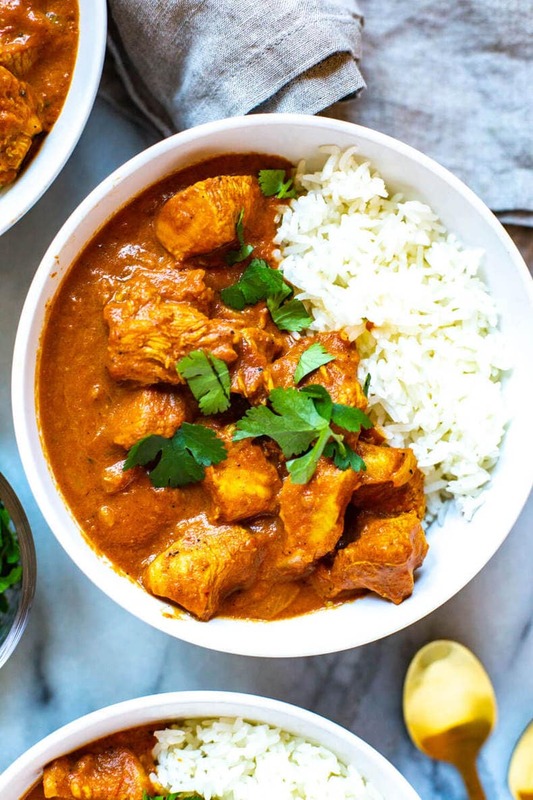 How do you make chicken tikka masala in a slow cooker? 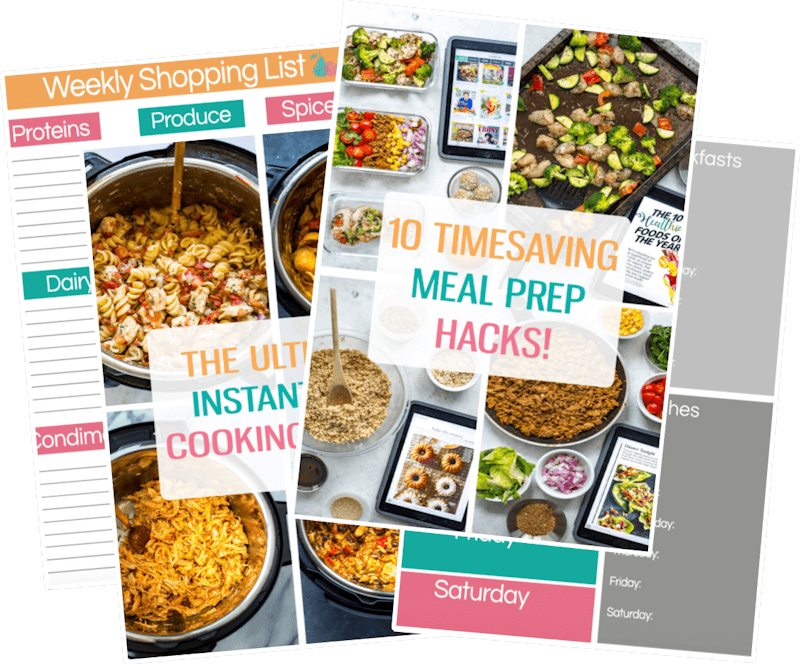 Making this recipe truly could not be any simpler – it's a dump and go recipe! There some tikka masala recipes that call for the meat to be marinated overnight, not with this recipe. The slow cooker does all of the work, leaving the chicken so tender, it will practically melt in your mouth! Some curry dishes freeze better than others. Because coconut milk can separate when frozen, curries with a base of coconut milk don't freeze very well. The good news is, Slow Cooker Chicken Tikka Masala has a tomato base, so it freezes beautifully! Cook and cool the dish completely. 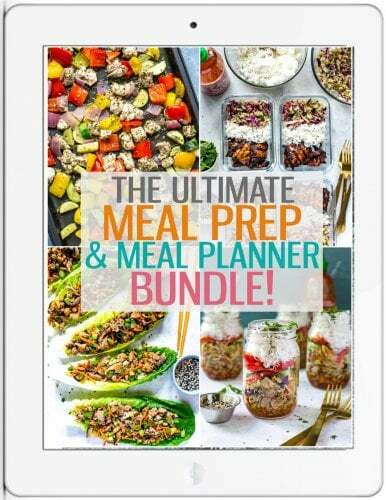 Place it into an airtight container, plastic zip-top bags, or freezable glass meal prep bowls . Transfer the containers to the freezer and it should stay good for up to 3 months! When you'd like to defrost it, just remove it from the freezer and let it defrost overnight in the fridge. If you've frozen it in microwave-safe meal prep bowls you can also heat up individual serving sizes in the microwave for 8-10 minutes, stirring halfway through. 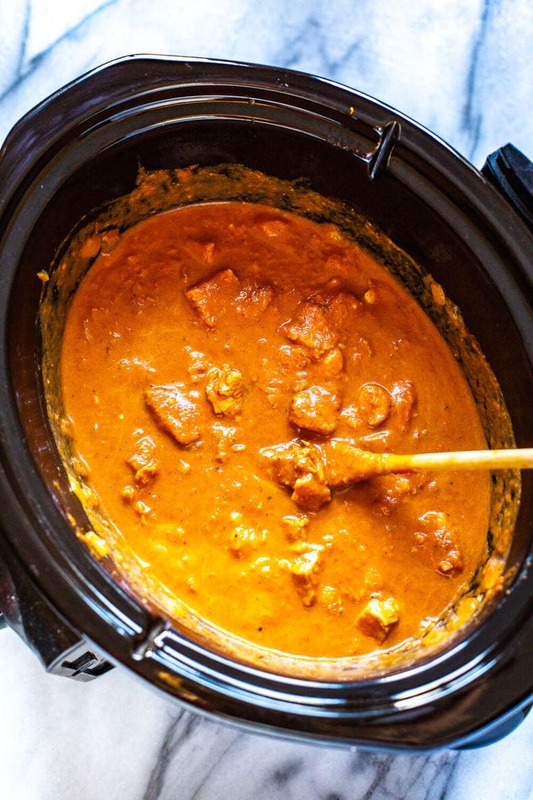 I hope you enjoy this slow cooker chicken tikka masala as much as I do! 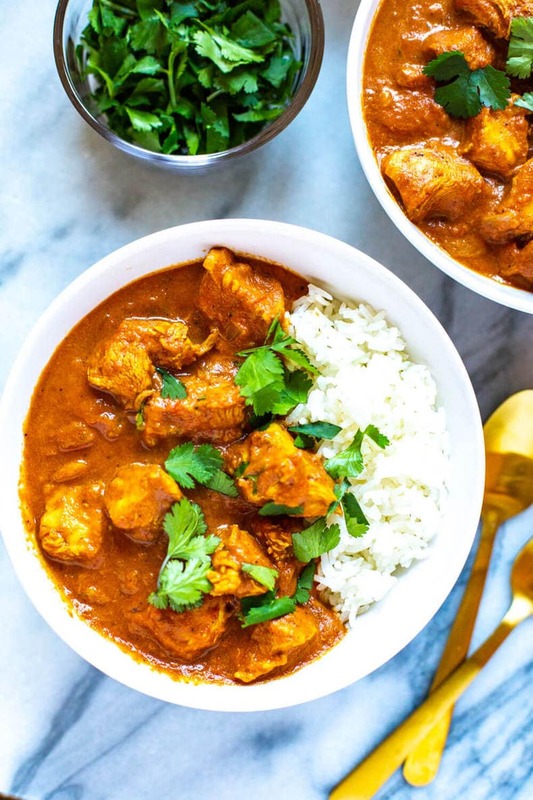 This Slow Cooker Chicken Tikka Masala is a delicious, healthy way to enjoy Indian cuisine, and it cooks all day on low so you can enjoy a tasty curry after a long day without all the legwork! Add all ingredients except for sour cream, rice, cilantro and naan to slow cooker in the order they are listed above and cook on high for 3 hours, or on low for 6 hours. Remove lid and stir in sour cream. Add rice to large bowls and top with chicken mixture, then garnish with cilantro and serve with naan (if desired). Serve and enjoy! Any chance you have the nutritional values? What if you’re dairy free? Is the sour cream necessary. As for the butter I’d just substitute earth balance vegan butter since it’s not too much to notice a difference-and I guess I could use kitehills almond milk yogurt if the sour cream is neccessary for creamy-ness…what are your thoughts? Hey Lauren – you could leave out the sour cream but it really does add that extra creaminess that you’re looking for with tikka masala. You could also try mixing in 1 can of full-fat coconut milk at the end. How would you make this recipe spicy? Cayenne pepper?